Gluten free can be delicious. I know, you’re thinking, “Gluten free cupcakes are never good.” Well, that’s just not true. There is a place in Baltimore City called Sweet Sin Bakery and Cafe, and they do Gluten free the right way. 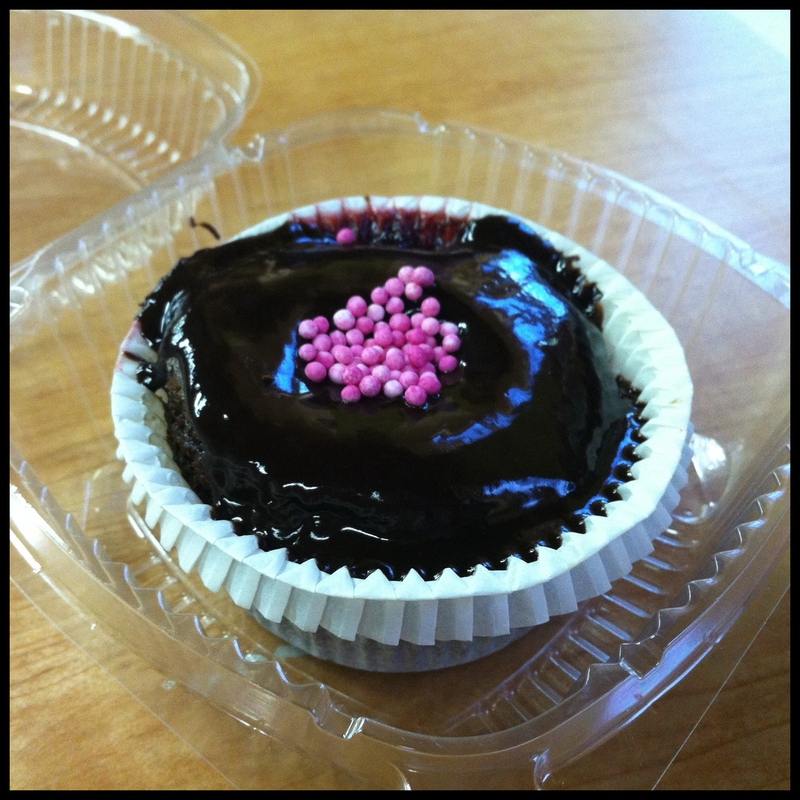 I was just reminded today how much I love their Chocolate Raspberry Ganache cupcake. It’s moist and decadent, just like a cupcake like this should be. Some of their other cupcakes are hit and miss, but I promise that you won’t be disappointed in this one. So next time you see “Gluten Free” go ahead and give it a try. You might be happily surprised. This entry was posted in Baltimore, Cupcakes, Gluten Free, Maryland and tagged Chocolate, Cupcake, Gluten Free, raspberry, Sweet Sin by Stacy. Bookmark the permalink. We used to pick up Sweet Sin cupcakes @ MOM’s in Jessup (back in the old days when we lived in HoCo). SOOOOOO unbelievably good, and my not-so-secret indulgence when I went gluten-free. What a joy they were to discover!